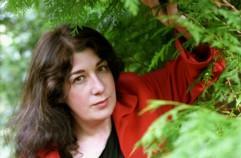 KEEPER OF THE SNAILS: GENTLEMEN AND PLAYERS and an interview with Joanne Harris. Excellent interview. I've not long finished reading Gentlemen and Players and I was enthralled. I just couldn't put it down. I'm disappointed that I missed Joanne Harris as I'm from Chester myself, so would've loved to have been there. Thanks Clare-Louise. Joanne Harris was in Chester a couple of years ago now - so maube she'll be back again sonn.